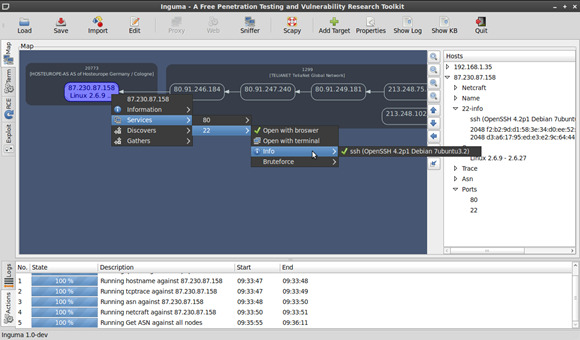 Inguma is a free penetration and vulnerability research tool kit written in python, recently the new version has been released after 3 years and with a very user friendly Graphical user interface. 1.Learn more about it here. 2.Visit there blog for more updates. 2.You can use it with Backtrack as it comes with it under Pentesting tools. This is a great Tool.This is very useful.Thank You for providing me such a toolkit. Follow the post "50 Hacking and Computer Security Sites" under popular posts section in the footer....I hope your need will be fulfilled.